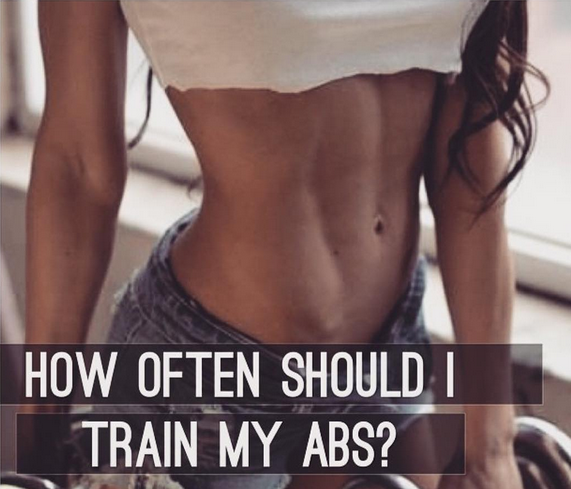 How Often Should I Be Training My Abs? The quest for the elusive six-pack often leaves guys hitting their midsection hard after every workout thinking more will inevitably be better. The truth is that your abdominals are just like any other muscle in your body. They need some rest in between exercise bouts as well. Doing some crunches or planks at the end of every workout leaves your midsection in a constantly overworked state preventing any results you’d like to see. To get results and prevent over training, focus on hitting your core two to three times a week post-workout. During those workouts, aim to include a variety of core exercises – not just crunches. Planks, cable woodchops, and abdominal rollouts are all good variations to include. Also, aim for the bulk of your program to consist of total body exercises that are going to involve your core like front squats, deadlifts, and standing shoulder presses. When choosing sets and reps, also be sure to mimic your current training program. If the rest of your training is geared towards increasing maximal strength and power, then your core moves should focus on that as well (shifting to medicine ball throws versus woodchops for instance). As with other muscle groups, vary the exercises and intensity to constantly see results and avoid overtraining. When focused on definition, don’t forget about nutrition. The majority of changes in body composition are going to come from your diet. In fact, maintaining your normal diet but tossing in some abdominal work will likely have no affect on belly fat. Hit your abs with a variety of exercises a few times a week and use the rest of the time to improve your nutrition.